Drupal 8's base theme structure is quite a bit different than Drupal 7's. 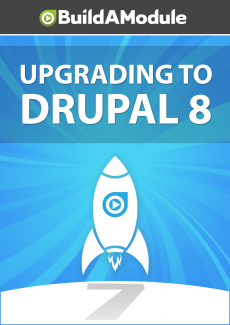 Drupal 8 provides two base themes - Classy and Stable - both of which are intended to be extended by additional themes. Bartik is now a sub-theme of Classy, and Stable is basically a copy of Drupal core's base templates and CSS that won't change in future updates to Drupal 8. If that's confusing at all, we walk you through what this means and why the new structure is so useful for front end developers. So Drupal 7 came with four themes: Bartik, which is the default theme that displays when you install Drupal; 7, which is the administrative theme, it's the theme that's being used for the overlays and any time you go to an administrative page, and it comes with a couple of disable themes as well, Garland and Stark. Garland was a carry over from Drupal 6, it was the default theme that was enabled in Drupal 6, and stark is intended to not overlay any additional CSS or markup on top of the templates in CSS that Drupal core provides. In Drupal 8 however there are five themes: there's Bartik, Classy, 7, Stable and Stark. Now just to explain these briefly, Bartik is the frontend theme that displays when we install Drupal initially. It is a sub theme of Classy. Classy is a base theme that comes with some default markup that includes a number of classes inside of HTML elements that can be used for theming with CSS.